We learned that the answer has to do with who you “belonged to” in mortal life, as well as in death, we suppose. The “Graf” or Count who controlled this region had his headquarters in the Jesuit Monastery at Muensterdreisen, a short distance from Standenbuehl just off the road to Dreisen. 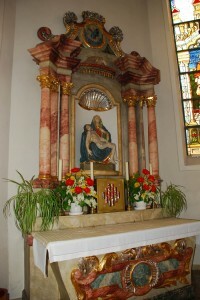 As Standenbuehl is mostly Protestant, the Catholics from here went to mass in nearby Weitersweiler. 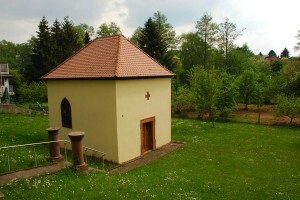 However, there was no cemetery in Weitersweiler and so the dead were buried in Dreisen, which was owned by the same Count who owned the hamlet of Standenbuehl. 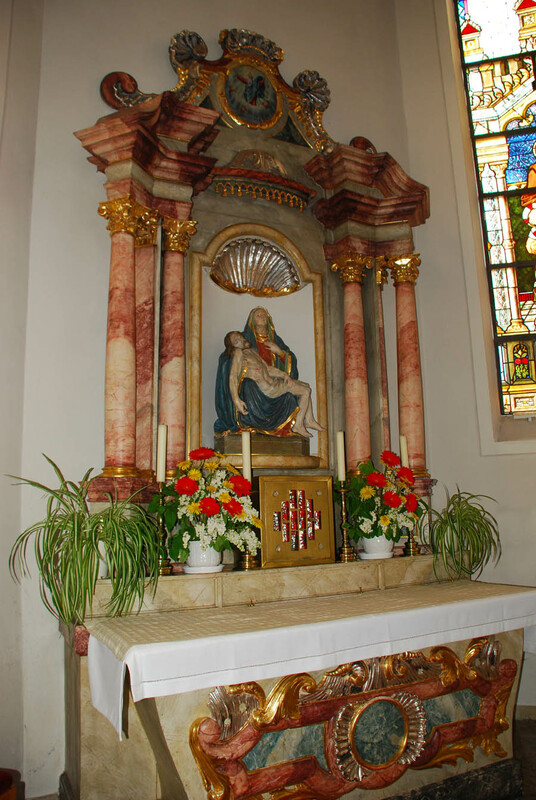 We learned with the help of genealogist Roland Geiger that an altarpiece currently used in the “new” church of Weitersweiler, built in 1880 (that’s new in Germany) was formerly used in the chapel. “What chapel?” we asked of Frau Bauer, who was showing us the church on that day. 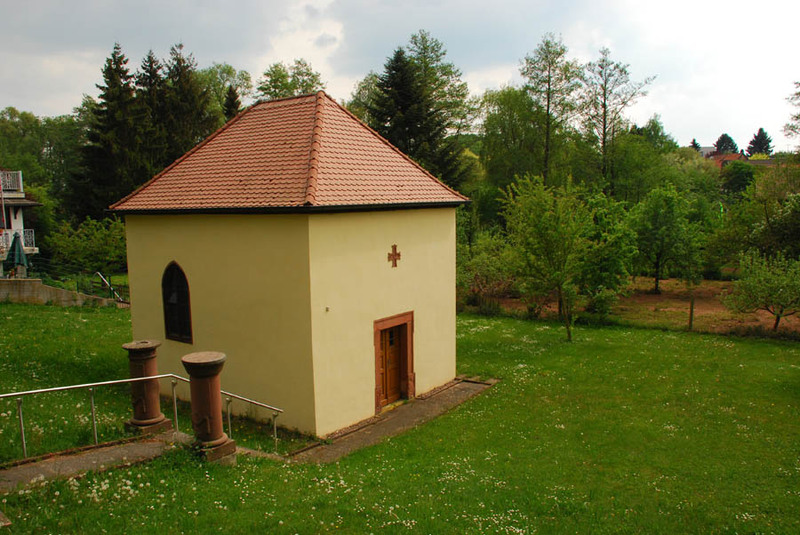 We walked about three hundred yards distance from the church and in a meadow discovered a little yellow chapel built in the Gothic time (1300s to early 1400s) and also belonging coincidentally to the Jesuit Monastery of Muensterdreisen. Posted in Family History Tours, Germany Tours and tagged germany, weitersweiler.